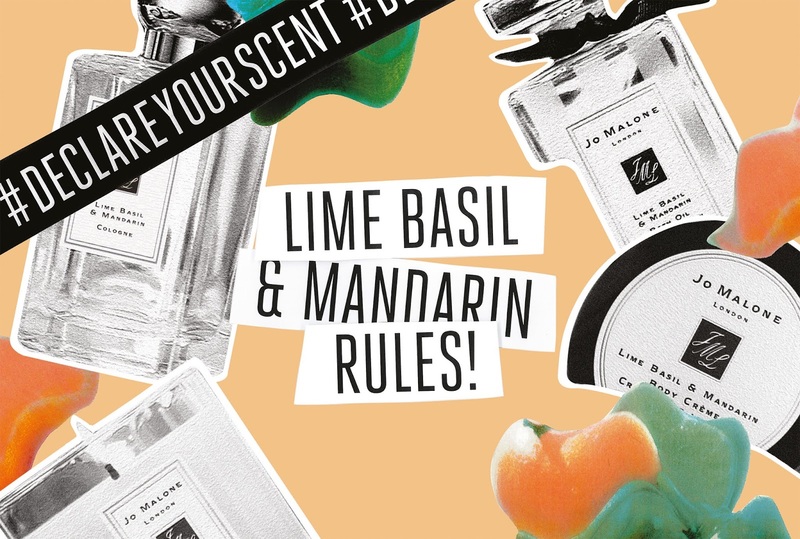 When we think of Jo Malone, we think of famous perfumes and scented candles - and with that another new member hits their fragrance line, Lime Basil & Mandarin in the form of Body & Hair Oil ! Oh, and it smells exactly like the perfume fresh and zesty, perfect for those who enjoy summers flavors in their personal collection . WHO : Those who like to wear your favourite tantalizing and zesty fragrance, Lime Basil & Mandarin from head to toe. WHAT : A versatile limited edition, that is lightweight, softening and easily-absorbed, creating an effortless way to condition hair and body. WHERE : Spritz onto dry or damp skin and spray onto dry or damp hair and allow to settle. WHEN : Anytime of the day, especially when your hair is in need of a little extra conditioning. HOW : Gently massage it into the body in circular motion. As for hair, comb oil through your hair with your fingertips to smooth flyaways, or apply directly to ends if needed. WHY : The Body & Hair Oil is created with a blend of sweet almond and macadamia seed oils. Infused with Lime Basil & Mandarin, Jo Malone's signature scent. Peppery basil, aromatic white thyme and limes on a Caribbean breeze.